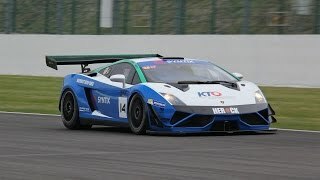 Lamborghini announced a new GT3 motorsport program and the first end-result is the new Lamborghini Gallardo GT3 FL2. 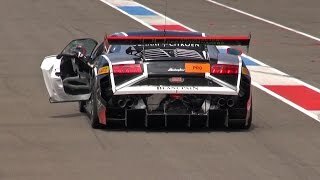 Based on the new 2013 Gallardo, the car features a highly efficient aero kit, a new front splitter, a rear carbon diffuser based on that developed for the Super Trofeo and an overall improved power to weight performance, with the GT3 FL2’s weight reduced by 25kg over the previous Gallardo GT3. 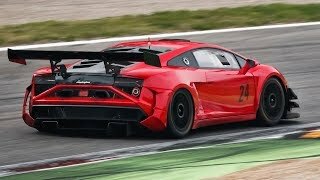 The Lamborghini Gallardo GT3 FL2 by Reiter has already proven exceptionally low running costs, setting a benchmark with only € 9/km to € 12/km parts rebuild costs. 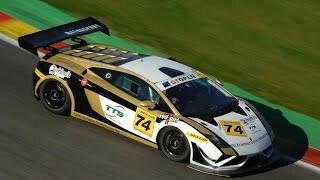 The Lamborghini Gallardo GT3 FL2 is priced at € 320,000 euro plus taxes.